30 years ago today, Apple introduced Lisa, a $9,995 PC for business users. 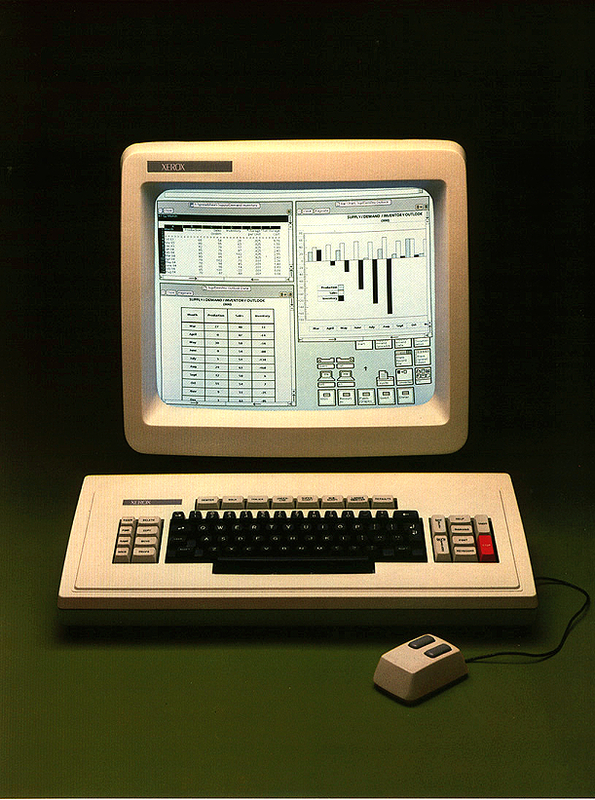 Many of its innovations such as the graphical user interface, a mouse, and document-centric computing, were taken from the Alto computer developed at Xerox PARC, introduced as the $16,595 Xerox Star in 1981. Jobs recalled that he and the Lisa team were very relieved when they saw the Xerox Star: “We knew they hadn’t done it right and that we could–at a fraction of the price,” according to Walter Isaacson’s Steve Jobs. This entry was posted in Apple, Computer history, Innovation, The Year in Information, Xerox. Bookmark the permalink.